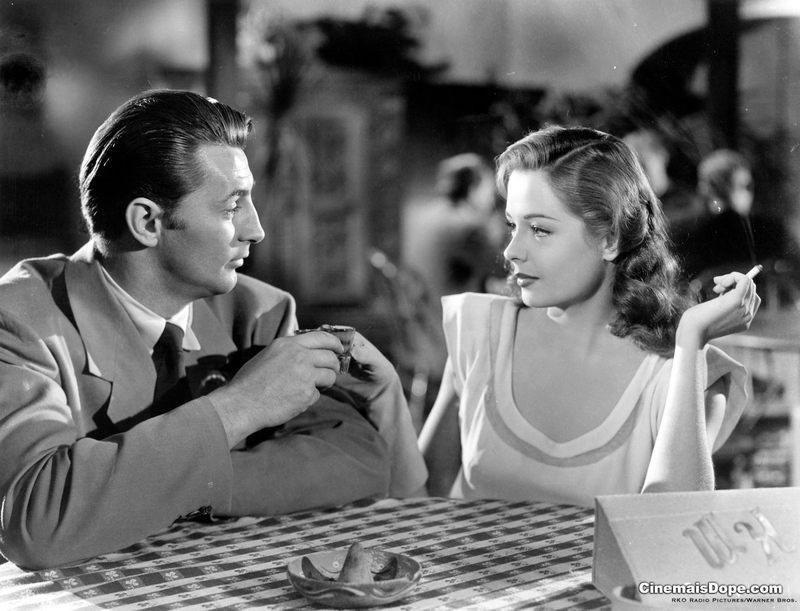 The woman at the center of the action in Out of the Past, Kathie Moffat, as played by Jane Greer, is a smoldering menace, so magnetically sensual and so poor-me manipulative, you understand why Mitchum can’t break away from her, no matter how he tries. The viewer knows about as little about Moffat as Mitchum’s character, yet that doesn’t stop him from chasing her. Sure, it all feels good right now. Just wait. In the 1984 version, Kathie Moffat has become Jessie Wyler (Rachel Ward). Jessie isn’t allowed to simply be evil, she has to be understood. So she has mommy and daddy issues. Her mother (nicely played, not coincidentally by the selfsame Jane Greer) owns a football team, a knockoff of the L.A. Raiders. Jessie is a wild child on the run, but so confused and so ineffectual, all she does is run from one safe harbor to another, never asserting herself in the nature of a 1940s woman, instead she’s given to wailing tantrums and rueful self-pity. Because there is so much more of her in this movie, her character is diminished. That, honestly, almost ruins the movie, and it’s a shame, because Ward is an attractive, intelligent presence. But she’s forced to obey the dictates of the script, which in expansive modern fashion isn’t content simply to be a pithy little morality tale, a neo-noir like Lawrence Kasdan’s Body Heat or the subesquent The Last Seduction by John Dahl. Once that decision was made, then Jessie can no longer be the villain. 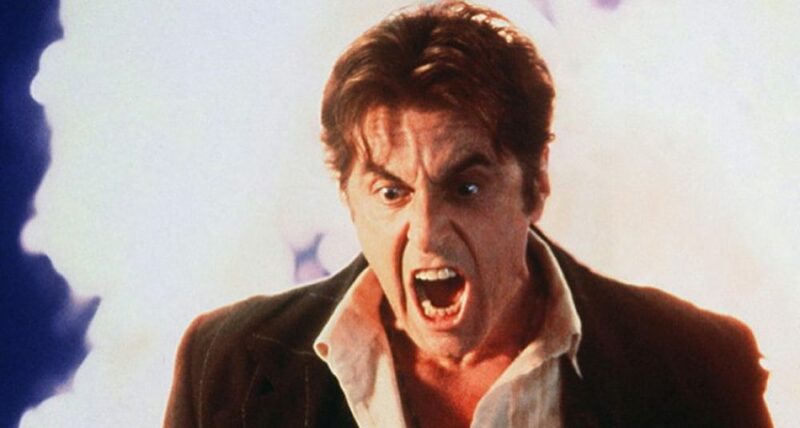 Instead, since the film takes place in Los Angeles in 1984, it has to be a latter-day L.A. drama (see also Tequila Sunrise), which means it has to ape Chinatown, the Holy Grail of amateur screenwriters. Which means that the Kirk Douglas character can’t be the true baddie either. Instead, evil is represented by the same kind of faceless government/real estate conspiracy that marked Chinatown, as personified by the partners of Underhanded Law Firm, LLC. But somehow, it all sounds worse than it plays. That’s largely due the rest of the cast, starting with perhaps the only actor then who was a perfect fit for the Douglas role, James Woods. He was playing his classic, nervous, bullet-mouth wise guy, never quite as big as he thinks. As unlikable as his character, bookie and nightclub owner Jake Wise, is supposed to be, Woods invests him with a sort of slimy integrity. He has a heart, but he isn’t going to let him get in the way. He makes a perfect bookend for straight-arrow Jeff Bridges, playing the Mitchum role. Since, again, this is an 80s movie, Bridges can’t play a down-on-his-luck drifter, he has to be a professional football player, screwed by the team’s owner and the ULF, LLC. So we also have some commentary on big-time sports, as well. But to Bridges’ credit, he’s never a tough guy. He’s more an antihero, a shmoe, caught in the machinery of the overheated plot, content to drink beer, play football and drive his Porsche until he’s forced to chase Jessie on Wise’s behalf. Both Mitchum and Bridges’ characters chase their women to Mexico—and in a nice touch—both are seen exhausted, dozing off before the femme fatale enters, and ruins, their lives. (Another nice parallel: Both films feature scenes in clubs, one a jazz club and the other with, of all acts, Kid Creole and the Coconuts.) But one of these films has a true, noir ending and the other opts for some open-ended optimism. You might be able to guess which is which. 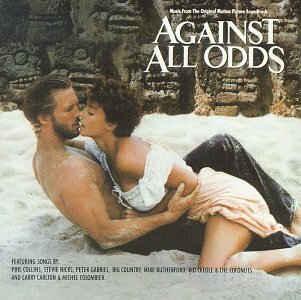 Some other supporting players in Against All Odds help raise the film above the mediocre, including the inspired casting of Richard Widmark, who played the bad guy in such noir classics as Kiss of Death. (Maybe we will someday compare that to its neo-noir remake starring David Caruso and Nic Cage, but then again, maybe we won’t.) And, having worked in a large law firm in a previous life, I have to give credit to Swoosie Kurtz, who in a small role as a secretary, just nails it, from her manner, to the hair, to the clothes. And Saul Rubinek as her unlikable boss is almost as good, if just a bit too obnoxious to be real. (I will let the legal secretaries out there beg to differ.) Small touches in a B-picture mean a lot. It means that the makers are at least trying. Then there is the personal element. Again, for a teenager, any movie featuring a drag race between a Porsche and a Ferrari on Sunset Boulevard is worth the trip. But even more than that, having recently seen Casablanca as a 16-year-old and just learning myself how women can cause more pain than pleasure, Against All Odds was another piece of early instruction in the misery that is the quest for true romance. And I think I have been chasing my Kathie Moffats and Jessie Wylers ever since. This entry was posted in The films of our lives by James Oliphant. Bookmark the permalink.